AMDA students eagerly anticipate the day they get to showcase their talents to industry professionals, in the hopes of securing an agent, manager or job before graduation. The students recognize, of course, the hard work that must be done to earn this opportunity. And when the day finally does come, students do not take it lightly. They've taken professional headshots, crafted enticing resumes (even with limited professional experience) and rehearsed many, many hours. 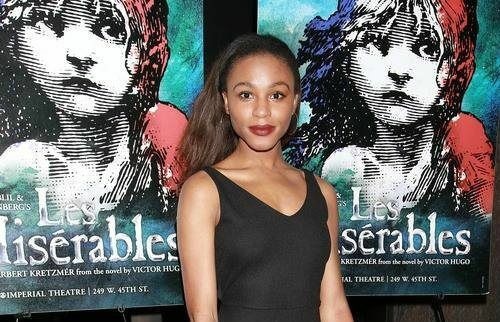 February 2015 AMDA graduate Brennyn Lark landed one of the most sought-after female Broadway roles—Éponine in Les Misérables—in just this way. As she recently explained to Playbill.com: "It was through a panel night at AMDA, where you have agents and casting directors come. I managed to get an agent through that. I'm signed to The Mine agency, and then I went on an audition — they just told me to go to Les Miz — and I said okay." Lark, who graduated from the four-semester Integrated Conservatory Program at AMDA New York, capitalized on the professional springboard of the program in two ways. First, she made a strong impression during Industry Panel Night, when students have the opportunity to be seen and heard by invited industry professionals, including casting directors, agents and managers. Integrated students typically perform two individual song selections and one monologue, as well as a dance combination in groups of three. Afterward, students receive priceless, written feedback from the panelists with comments regarding all aspects of their work. Second, fourth-semester classes are generally held in the evening, giving Lark and other students the opportunity to audition during the day. Similar to Industry Panel Night for Conservatory students, AMDA Bachelor of Fine Arts students have the opportunity to audition for Industry Event, where selected participants present solo and two-person performance pieces to invited industry guests. As with Industry Panel Night, guests are usually a combination of agents, managers, directors, producers and casting directors. Because Lark was in rehearsals, she was unable to attend her graduation and had to have her diploma mailed to her—a small price to pay for making her Broadway debut less than a month after graduating. For students considering conservatory performing arts education, her story is a shining example of why it's so important to look closely at the industry exposure a program provides.